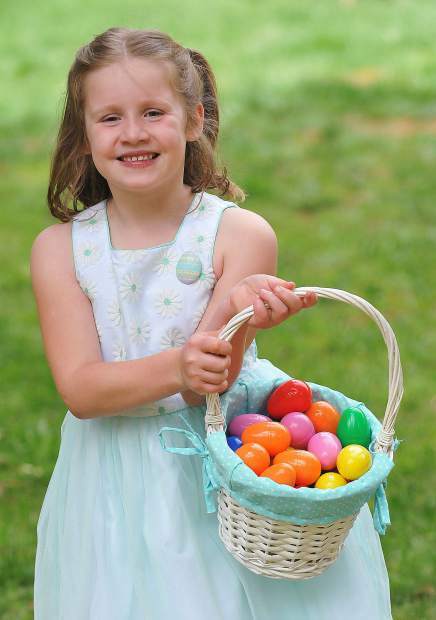 Grass Valley's Athena Votino proudly shows off her basket full of Easter eggs that she found during the NID Easter egg hunt at Orchard Springs Campground in Chicago Park Saturday. 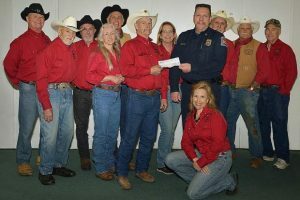 Other area hunts included the Moose Lodge's annual event at Grass Valley Charter School, and the Don Wasley Easter Egg Hunt at the Nevada City Elks Lodge. 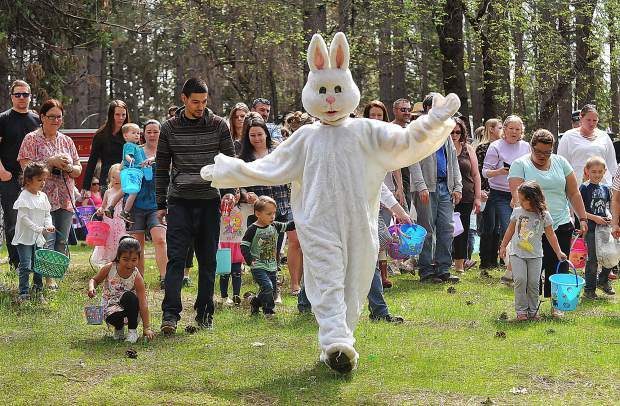 The Easter bunny arrived right on time, shown leading a group of Easter egg hunters out to the meadow of Orchard Springs Campground in Chicago Park where the Nevada Irrigation District held its 11th annual event. 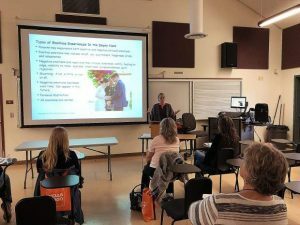 The free hunt was just one of nine regional Easter egg hunts available to the public. 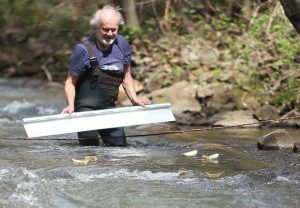 Attendees at Orchard Springs Campground touted the event's smaller crowds and campground setting. 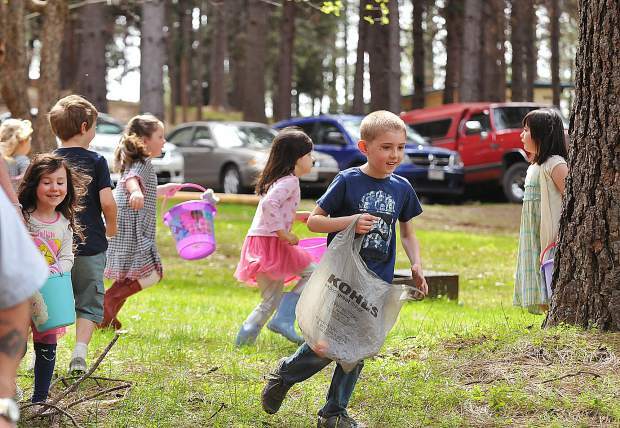 Children use Easter baskets, buckets, or bags to track down as many plastic Easter eggs hidden during the Nevada Irrigation District's event at Orchard Springs Campground in Chicago Park Saturday. Special prize eggs gave the children more incentive to catch em all. 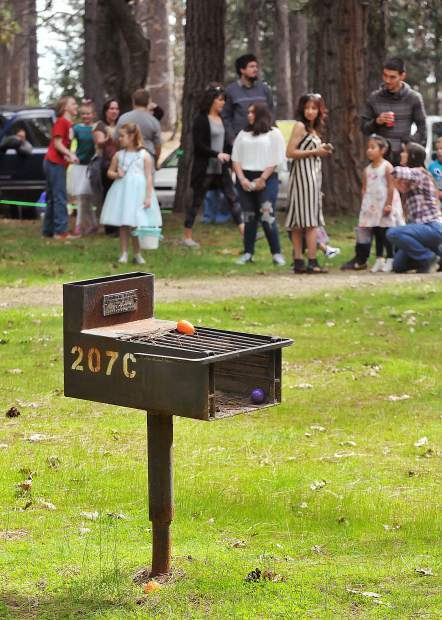 A plastic Easter egg awaits to be discovered during the NID Easter Egg hunt at Orchard Springs Campground. 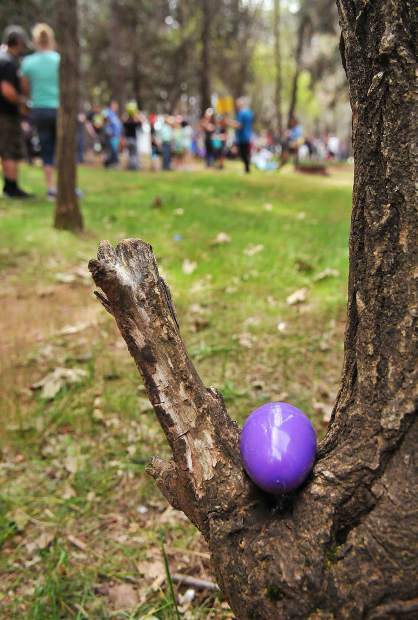 Plastic Easter eggs sit hidden in plain sight among the Orchard Springs Campground in Chicago Park prior to Saturday's hunt. Accompanied by Chicago Park Firefighters, the Easter bunny tries to coax a reluctant group of youngsters to get their photo taken with it. 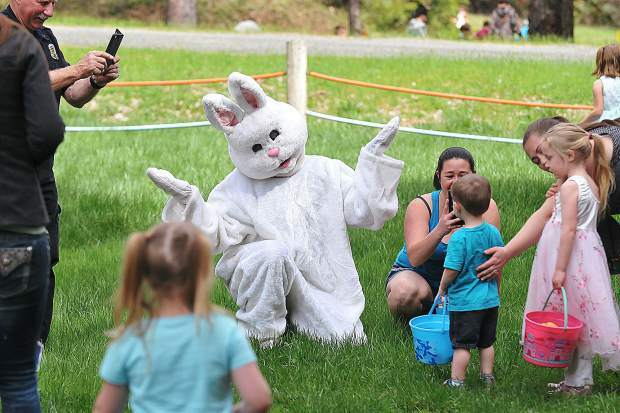 The Easter bunny arrived right on time, showing up at hunts across Nevada County on Saturday in preparation for Easter on Sunday. 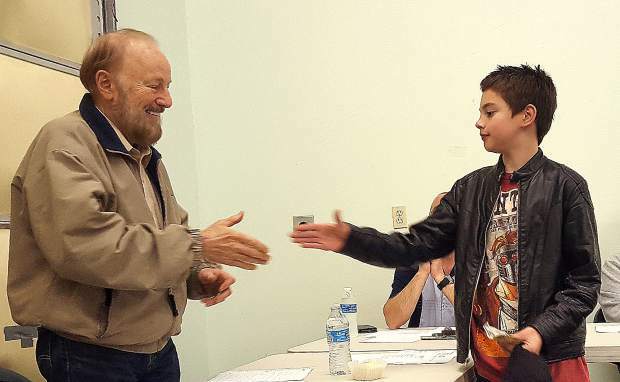 Nine regional Easter egg hunts were available to the public.